Producers, Retailers, and Feed Stores! 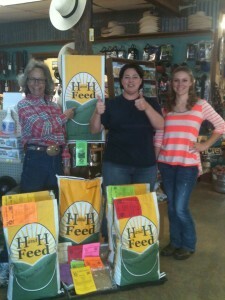 H and H Feed, LLC welcomes wholesale orders by the ton. You can mix different rations within the forty 50 pound bags that make up the ton. We will ship throughout the beautiful United States of America. We take orders every other THURSDAY and mill fresh by the end of the following week for delivery and shipping. Shipping is FOB Origin. International orders – purchaser is responsible for arranging shipping from our mill and responsible for any import requirements. – and how many tons you would reasonably expect to order a one time. THE BEST WAY TO CONTACT US is to email us at HandHFeed@gmail.com and please include the above info so we can quote you shipping. You can also call us at 512-878-7283. Make sure to leave a message and we will get back to you.